Kodachrome Basin which is now a state park is a pretty cool unique little piece of Utah most never visit. That’s because it’s overshadowed almost literally by Bryce. You can seen Kodachrome Basin from Bryce and visa versa. 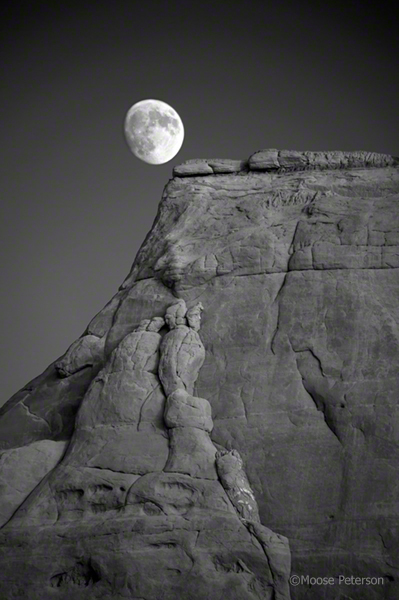 While it’s not all red rock, it has some really cool shapes and forms that makes photography really fun. Kodachrome Basin requires a couple of things in finding the photographs, walking and imagination. It’s not a place where the photographs are real obvious, it takes a little of exploration. Kodachrome Basin exploration is a combination of feet and focal length. These photos were taken with the Df / 80-400, using longer to optically extract a select group of elements to tell the story. The top frame is a massive formation that against the bald sky is so striking, I tend to shoot lots of the same thing cause I’m so taken with it. The bottom shot is self evident, the moon sucked me in. Running back and forth to capture the rising moon, to “unrise” it and then shoot it, move and “unrise” it to get the shot took the better part of an hour. Combined with that was doing handheld double exposure to to get sharp rocks and a sharp moon. Been easier if I had just grabbed the tripod but when I set out to shoot sunset, the moon wasn’t on my mind. What was though was the B&W aspect of the photos. The arrangement of elements was based on B&W. They were finished as mentioned here so I could target the rock and sky differently creating the tones you see. And the whole time, I tend to chuckle to myself because of the irony. 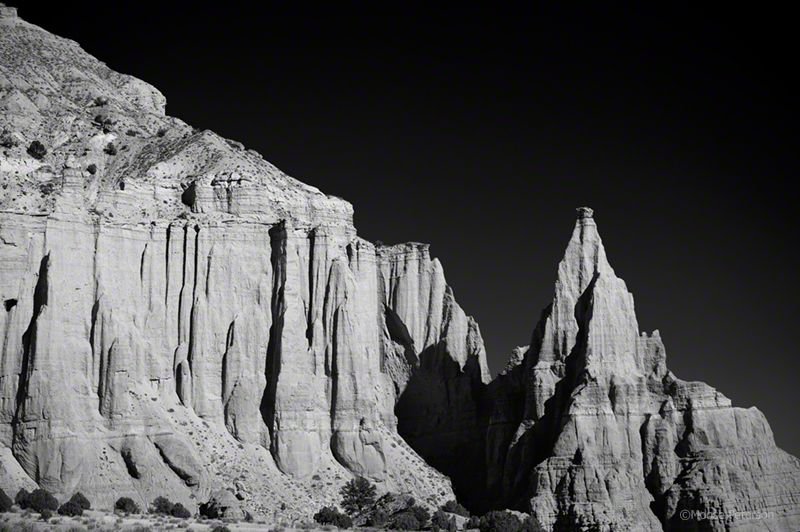 It’s almost sacrilege, shooting Kodachrome Basin in B&W.